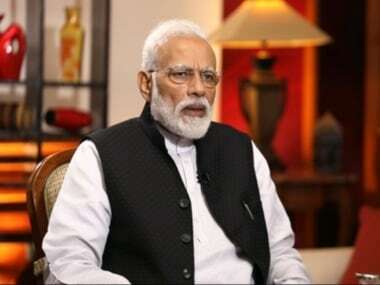 Prime Minister Narendra Modi defended demonetisation, castigated the Congress and welcomed first-time voters in an exclusive interview with News18 just days ahead of the Lok Sabha polls. Modi, speaking to Network18 Group editor-in-chief Rahul Joshi, said, "The Uttar Pradesh election was fought on the issue of demonetisation and we came out victorious. So people who have suffered due to demonetisation — those who lost their vote bank of the poor and those who were unable to carry out their black money dealings — they are the people who suffered and even today, they are crying. But the people of India know full well why they are complaining." He further claimed that demonetisation is the reason why the formal economy has grown so fast and that the number of taxpayers has doubled in the past five years. Modi accused the Congress of "ruining every institution" in the country and claimed that the BJP had empowered institutions. "Such issues raised by the Congress are completely nonsensical. When they lose elections the Election Commission is 'flawed'. They want the judiciary to run as per their whims and fancies. They’ll raise impeachment norms against the chief justice and then keep the issue hanging till their ends are met... These are the people who promulgated the Emergency, turned the country into a prison, jailed senior political leaders, muzzled the media and they talk about institutions? It doesn’t behoove them (to talk about institutional integrity)." Speaking about senior BJP leader LK Advani's recent blog post, Modi reiterated that the the country is supreme, the party is next and the self is last. "He (Advani) has stated the basic principles of the BJP," Modi said. "These are our principles. All BJP workers say the same. The nation is supreme, the party is next and the self is last. Even on the issue of nationalism, this remains our stand. It’s the Congress that is to blame. Do you know a Congress leader termed (former prime minister) Atal Bihari Vajpayee a traitor? Do you know that on the floor of the House, a senior Congress leader who recently passed away called Atal ji a traitor? So, Advani is absolutely right." 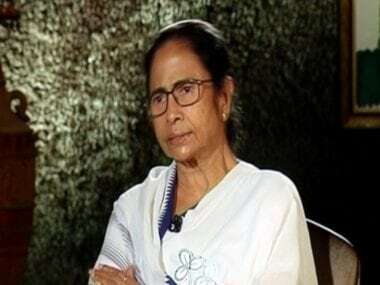 The prime minister also addressed the Ayodhya issue, saying the BJP has taken an "ideological stand" on the Ram Mandir which has never changed. "The problem is with the media," Modi said. "When we speak about it, they say ‘you have no issue but Hindutva’. When we stay silent they say ‘why don’t you speak on Ram Mandir’. Modi said he never personally attacked the Gandhi family and added that he was ideologically opposed to dynasty politics. "There is no anger," Modi clarified. "It is an ideological belief; dynasty politics is bad for India's democracy." Modi said he is not worried about BSP supremo Mayawati. 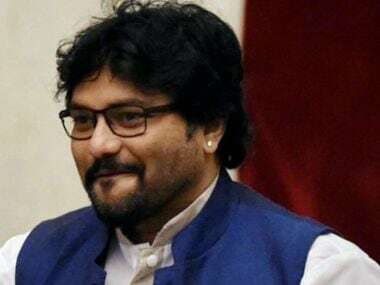 On her appeal to Muslims to vote for the SP-BSP alliance, he said, "It is unsurprising that Mayawati is making such statements as she is facing defeat... She is appealing to Muslims to specifically vote for her. This is a matter for the Election Commission to look into. I am less worried about Mayawati. She is part of a sinking ship and is looking to Muslims for support." Modi added he was more worried about the "secular brigade", asking why they were silent. He said that if someone had made such an appeal to Hindus, they'd have expressed outrage. He said the 'award-wapsi' gang would have returned their awards and a signature campaign would have started. He wondered why this group was silent and said this is a worrying subject for the nation. "I request you to expose such elements. Why are they selective? Don't these remarks hurt their secularism? Did this statement boost their secularism? The biggest threat to India are these people who hide behind the mask of secularism. Mayawati is looking for a means to survive in politics. 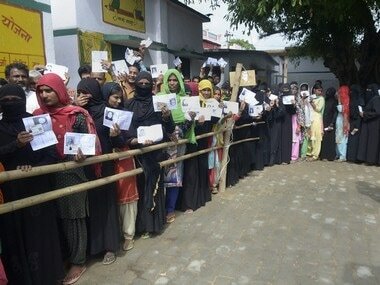 She will continue to try to gather votes by any means," Modi added. Modi urged all voters come out and cast their ballot early in the morning. "Vote first, then breakfast," Modi said. "Voters today are very aware. There are long queues at booths. I urge voters to carry water to drink. I would like to urge peaceful polling and a heavy turnout. I would like to specially reach out to first-time voters, people born in the 21st Century." Modi added that new voters deserve a special respect and a place of pride as they are about to cast their vote on national issues and be party to the nation’s development. "I urge first-time voters to definitely come out and vote. Let’s also verify our names in the voters’ list online in advance. Let all voters be part of this great election festival. Let democracy be eternal. Let’s move forward with this mission," Modi added.